Today's lesson begins by acknowledging the representatives who participated in the volunteer speed matching fair with handwritten thank you notes. 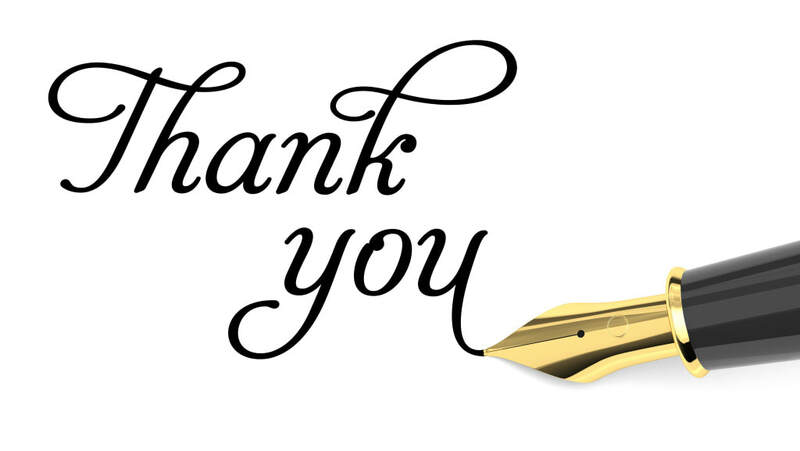 In the age of instant communication, taking the time to write a handwritten thank you stands out to recipients because it requires you to invest time, energy, and effort. Think about the representative who made the greatest impression on you. Then, using the guidelines below, craft a thoughtful note expressing gratitude for their time and the impact it had on you. These notes will be delivered in the coming weeks and hopefully inspire many of the same organizations to return again next year. 2. EXPRESS THANKS Thank you so much for meeting with the PSL students yesterday. 3. ADD DETAILS I appreciated hearing about the many volunteer opportunities offered at your organizaton. The science and math tutoring program sounds like a great way for volunteers to connect with kids at your school. 4. LOOK AHEAD My classmates and I look forward to serving your organization this school year. 5. RESTATE THANKS Again, thanks for participating in our volunteer fair. The instructors will spend some time highlighting service opportunities that were not represented at the volunteer speed matching fair and answering student questions. Next, students will complete a form indicating their top 10 choices to fulfill their volunteer service requirement for PSL. Students should look carefully to make sure their availability coincides with the times that the organizations are looking for volunteers. In order for forms to be considered they must have 10 organizations selected and be signed by a parent/guardian. At the conclusion of this lesson, students will initiate their first contact with their agency supervisor to set up an initial meeting/volunteer schedule for next week.